Children who face barriers will often require additional educational intervention to support their learning. This support is provided, within the classroom, with the view to accelerate progress and address misconceptions that may have developed as well as providing individualised support designed specifically for the individual child. If a child does not show progress despite such differentiated teaching, a meeting, referred to as a Case Conference, would usually be arranged between key school staff such as the child’s class teacher and SENCO, therapists and parents. Key learning targets would be decided upon and a plan devised to assist the learner achieve these targets. The Code of Practice recommends an Individual Education Plan (IEP) as a means of recording and reviewing this process. If it becomes evident that the child’s needs cannot be met in the Japari educational setting, the SENCO will support and guide the parents with alternative ways and possible alternative environment options. Small group intervention (social skills, language development, reading, phonics, writing, spelling and numeracy). Individualized tuition (eg reading skills, specialist dyslexia teaching, and precision teaching). Individualized support for learning (Additional Support, Mentor, Monitor programme). Gross Motor coordination programme. ( Grade R – Grade 2). Psycho- Educational assessments and feedback. 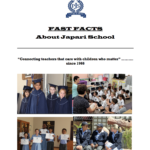 Parent workshop ( e.g. Paired Reading techniques,Parent Support Groups). Special resources, hardware, software, large variety of books and reading material. Accommodation and Concession guidelines and support. Computer based learning (eg Wordshark, Cami, Mathletics). Assistive technology to support the assessment process. By improving knowledge, instilling values, fostering beliefs and shifting attitudes, education has considerable power to change environmentally harmful lifestyles and behaviour. Gross motor skills e.g. ball skills, hopping and jumping. Fine motor skills e.g. cutting, colouring and handwriting. Visual perceptual skills ( this is the ability to interpret and understand what we see). Sensory Integration skills ( this is the ability to take in the information we receive from all our senses, and to process, interpret and make sense of this information so that we can act appropriately). This expectations for the level of development of any of these skills will vary depending on the child’s age. It is important to note that all of these skills are developing simultaneously. Impairment of one area is likely to stunt development in other areas. Various formal and informal assessment tools can be used to explore the functioning of a learner’s Motor and Visual development. These assessment tools will be selected and utilized, considering the various areas. Assessing, treating and preventing human movement disorder, restoring normal functioning or minimising dysfunctions and pain in adults and children with physical impairment, to enable them to achieve the highest possible level of dependence in their lives, as well as preventing recurring injuries and disabilities. The Physiotherapist evaluates muscle strength, flexibility and joint range of movement. The Physiotherapist addresses postural alignment and control through biomechanical and postural correction and rehabilitation. The Physiotherapist restores movement and improves fitness, balance and co-ordination. A significant focus area in therapy is on language. This refers to understanding and using language to express oneself correctly. Language therapy includes vocabulary expansion, word associations, understanding and applying the rules of grammar, comprehension as well as improving written language. Perhaps the most important skill in the classroom is the ability to process, remember and use what you hear. Therapy aims to improve auditory processing skills such as auditory word and sentence memory as well as the following of oral instructions. Another significant aspect of speech therapy is focusing on skills that are important for successful reading, writing and spelling. This is referred to as phonological awareness and begins with the basics of rhyming, understanding how words can be broken up and put together again and learning to apply spelling rules correctly. Various formal and informal assessment tools can be used to explore the functioning of a learner’s Language development. These assessment tools will be selected and utilized considering the various areas. The Educational Psychologist forms part of the multi-disciplinary team that offers learners a safe therapeutic space in which to deal with a range of learning and emotional difficulties. Therapeutic approaches are tailored to address the needs of each child. Curriculum Based Assessment for reading, spelling and mathematical ability. Bender Visual Motor Gestalt Test Second Edition Wepman Auditory Discrimination Test. Quick Neurological Screening Test (QNST). Rey Complex Figure Drawing or Test. Senior South African Individual Scale – Revised (SSAIS-R). – Weschler Pre-School and Primary Scale of Intelligence – Revised (WPPSI-R). – Weschler Intelligence Scale for Children IV (WISC IV). ASPRI as an informal assessment tool. Other drawings as informal assessment tools. A variety of incomplete Sentences. A variety of formal and informal story-telling techniques such as the Thematic Apperception Test (TAT) and the Roberts Apperception Test, the Duss fables. Connors rating scales or checklists Second Edition. Beck Youth Inventories for Children and Adolescents Second Edition.